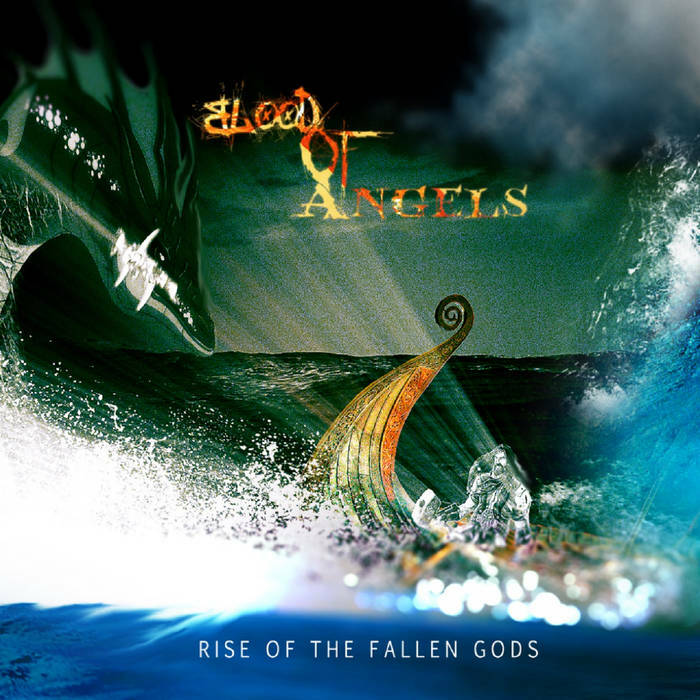 Hailing from one of the epicentres of extreme Metal, BLOOD OF ANGELS are set to up the ante with their imminent release “Rise Of The Fallen Gods”. This Floridian four-piece combines a vicious Death Metal attack with the atmosphere of Black Metal, all with flourishes of melody and Viking-themed lyrics. Check “Odin’s Wrath” streaming below. Featuring experienced musicians of the Jacksonville scene, the project combines the talents of current and former members of MOTORGRATER, FORESHADOW, DENINED TIL DEATH, and LEPROSY. Like any band that is on the same page musically, Aaron Robinson (guitar), Michael Stewart (bass), Chris Iibucha (vocals) and Kevin Phillips (drums) have rolled together their collective experience from previous acts into a cold, clinical, yet passionate sound that will be unveiled on their debut EP “Rise Of The Fallen Gods”. With hints of DARK TRANQUILITY and AMON AMARTH among other bands making up the palette of their sound, and a slick production to accentuate the pummelling drive of the music, the band is preparing to release on April 21st. The lead single “Odin’s Wrath” - which will soon be accompanied by a music video as well - is available on Bandcamp and the EP at the band’s store page (HERE). Following the release of the EP are plans to tour their home base of Florida, as well as expanding their horizons - as the band sees the live front as the best avenue to unleash their intensity.